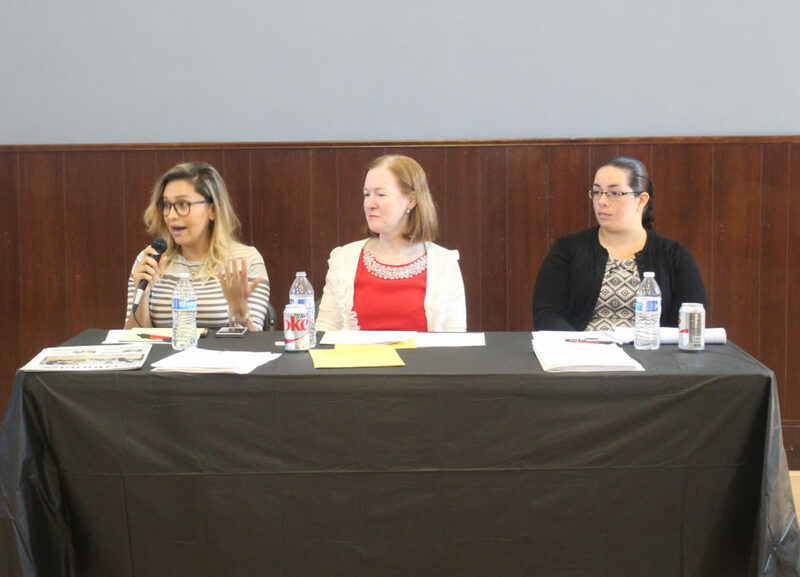 On May 21, Tribuna Newspaper, in partnership with The New American Dream Foundation, The Ecuadorian Civic Center, Emigrantes Brasil & Wide Focus Video Productions hosted a Community Dialogue & Workshop on Safety Planning for Immigrant Families. Danbury Probate Judge Dianne Yamin provided a detailed presentation on standby guardianship, and Attorney Lisa Rivas, from Cramer & Anderson Attorneys at Law, dissected the parameters of President Trump’s executive orders and provided valuable advice on safety planning for immigrant parents. Emigrantes Brasil & Wide Focus Video Productions recorded the workshop and the video will be made available to the public through Tribuna’s Facebook Page at www.facebook.com/tribunact and website www.tribunact.com. Below is a compilation of the most important topics discussed. Judge Dianne Yamin said it is her impression that the focus of the enforcement will be on criminals and persons of violent backgrounds, and there should not be a sense of panic in the community; however, it is always important for parents to be prepared for future events. “For instance, all parents should have a last will and testament, durable power of attorney, a health care power of attorney, and a living will. In the case of possible deportation, they should also have a standby guardianship, which would allow for immediate care of the child outside of court intervention,” she counseled. Who can nominate a standby guardian? -A parent or legal guardian may use the statute regardless of health status; however, the guardianship only lasts one year from activation or until the triggering event or contingency ends. -Designation must be witnessed and a copy provided to the standby guardian. -Upon the triggering event, the standby must submit a written declaration of facts (affidavit) that the specified event has occurred. NO court filing is necessary. The standby guardianship is effective for one year. -If the parent dies, the standby guardian remains in place for 90 days; then, he or she can petition for permanent guardianship through the courts. -As specified in the designation, including, but not limited to, death, mental incapacity or physical debilitation. -If both parents are alive, both must consent, unless either has been removed as guardian or parental rights have been terminated. -The standby’s authority ends when the triggering event no longer exists or after one year, whichever is sooner. The law does not specify if the parent and the standby have concurrent authority or if the standby assumes sole authority upon the triggering event. -Revoke any time in writing to the standby. This year, Gov. Dannel P. Malloy announced the creation of a “tool kit” for concerned families. The Governor said there are an estimated 22,000 children living in Connecticut who are citizens but whose parent or parents are undocumented. To download the toolkit, visit: portal.ct.gov/FamilyPreparedness. For more information on standby guardianship, or to download the sample form, visit http://www.ctprobate.gov/Pages/ChildrensMatters.aspx. Based on the wording of the executive order, a criminal could include someone who’s charged with but not actually convicted of a crime. The last provisions apparently include anyone who an immigration official feels endangers “public safety or national security,” even if that person doesn’t face charges, giving broad authority to officers. And the term “criminal offense” isn’t defined in the order and could include a wide range of charges, including, presumably, misdemeanors. The Department of Homeland Security (DHS) uses expedited removal to deport people as fast possible. Someone in expedited removal does not get a chance to talk to a judge or have time to find an attorney. It’s usually only used to deport people found near the border so that they can be returned as quickly as possible. Under the executive order, expedited removal procedures are no longer limited to apprehensions near the border. Update the school so that a person other than the guardian or parent can pick up the child from school or the bus. Make sure your children have passports. Have an emergency contact who can call if you are detained and have a plan with that person. Consider getting a power of attorney form prepared for children and/or a standby guardianship Form. Consider getting a power of attorney form for assets like a home and/or bank accounts. “It was a pleasure being invited and able to speak to community leaders about the changes in immigration law and policy. I also urge community members to watch the video and read the materials so that they can be prepared and understand what is going on,” said Rivas. If you would like to attend the next community dialogues or workshops, please submit your email address, full name, address, and phone number to danburycommunitydialogues@gmail.com to be added to the mailing list.